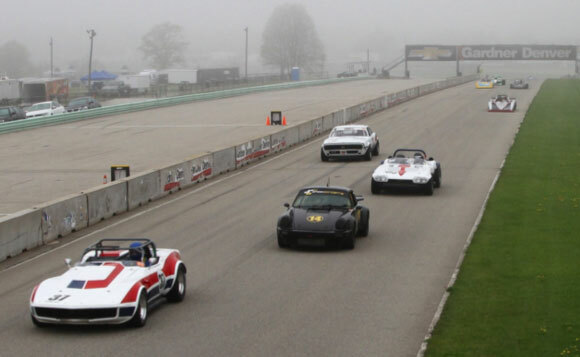 This year’s spring race at Road America was sponsored by Rick Mancuso’s Lake Forest Sportscars. 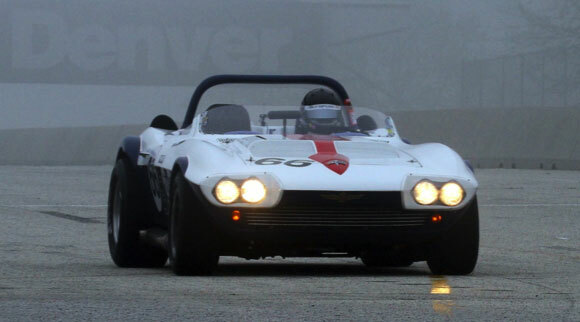 Rick brought his Grand Sport 007 for what would be his first race in the car. Duntov brought its company car, the former all conquering #38 car for its new owner. 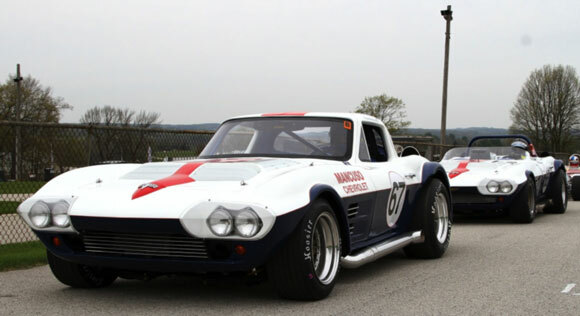 The Duntov truck also brought Clair Schwendeman’s #37 Corvette and Walo Bertschinger’s Grand Sport 006. 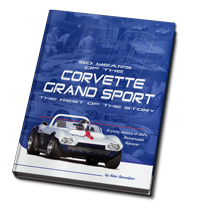 Rick Mancuso brought Grand Sport 007 from its new home at Lake Forest Sportscars. Mancuso was cautious with his new car. 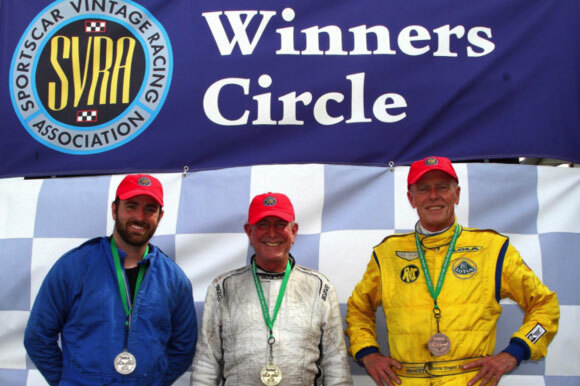 Rick has been racing since the early seventies, but lately he has been racing modern sports racing cars with downforce and sticky tires. The Grand Sport is quite the opposite, and the adjustment is not something you can make in a few laps. Unfortunately that is all the time Rick had for racing this weekend as business comes first. Lake Forest had a slew of Ferraris in their paddock and their paddock was set up to sell! 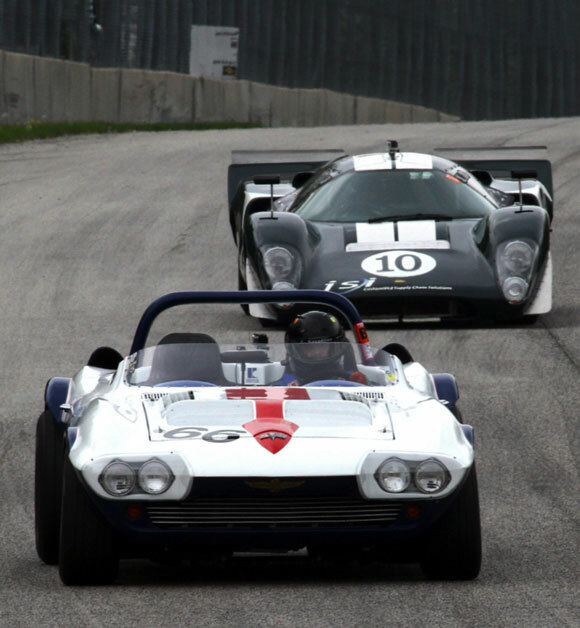 Although this was Walo’s first visit to Road America, he was fast right out of the box. He qualified second in Group 5 with 2:31.5. 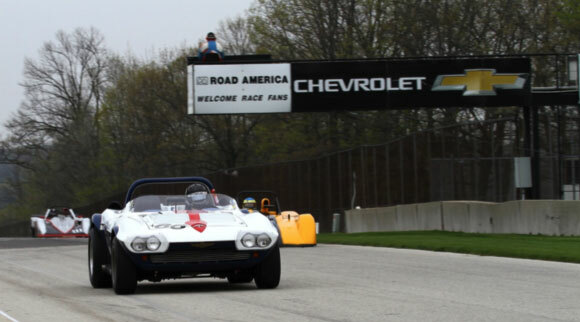 A Lola T70 Mark III B was on the pole with a 2:26.8. 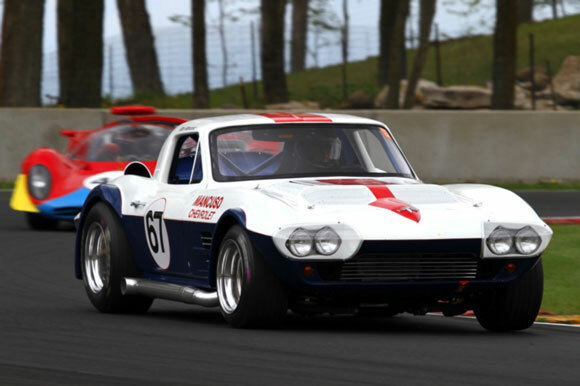 The Lola is of course in a different class as the Grand Sport. It weighs 800 lbs less, has 12 inch wheels and Avon tires, downforce instead of lift – apples and oranges. Clair was the class of the field in Group 6 and won both sprint races. 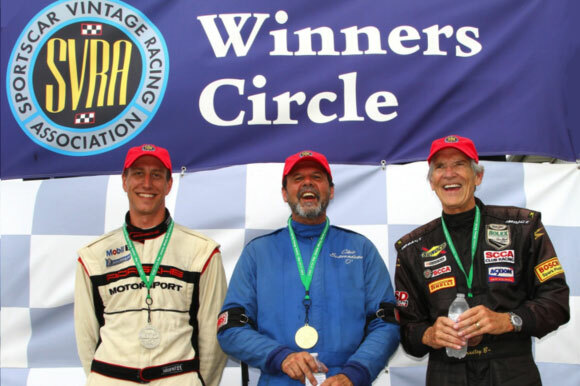 On Sunday he turned his fastest lap ever at Road America; a 2:26 flat. The drama of the weekend was provided by a heavy layer of fog during the big bore enduro. Alan and Clair were teamed up in the #37 car and Walo and Edward shared the Grand Sport. Alan and Walo started. Visibility was far less than stopping distance at speed, so it was lucky no one stalled on the straightaway! As the fog started to lift, everyone started picking up the pace which resulted in several incidents, including a rare spin by Walo. The full course yellow came out and everyone dived into the pits. Because he spun, Walo stopped by the black flag station where he was told he didn’t have to stop since he never left the racing surface. Unfortunately Walo exited the pits too fast and got black flagged for speeding. This time after the black flag station he brought in the car in for gas and a driver change. This would be the car’s second stop, so the crew filled it to the very top to give Edward a chance of making it to the end of the race. Edward made one lap and was black flagged for leaking fuel! That was it for the #66 Grand Sport in the enduro. Clair took over after Alan’s stint and when he exited the pits the full course yellow was still out. 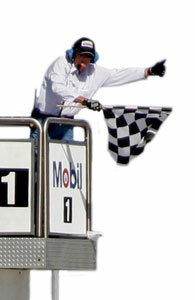 He then circulated several laps behind the pace car until the green finally flew. Two Group 6 cars that made their first stop under yellow exited the pits, made one lap and came in again. Therefore, those two made both their mandatory pit stops under yellow. When Clair pitted late in the race for his second stop, it was under green, and that cost him the race win. It would be the only enduro of the year that Clair and Alan didn’t win! Walo had a plane to catch and asked Edward to drive his car in the Group 5 feature race on Sunday. Edward had not gotten a complete lap in the car, as he was black flagged on his out lap during the enduro. In spite of that, Edward led the race for the first four laps, finally yielding to the Lola. Edward’s fastest lap, a 2:24.9, was only his 6th lap in the car. 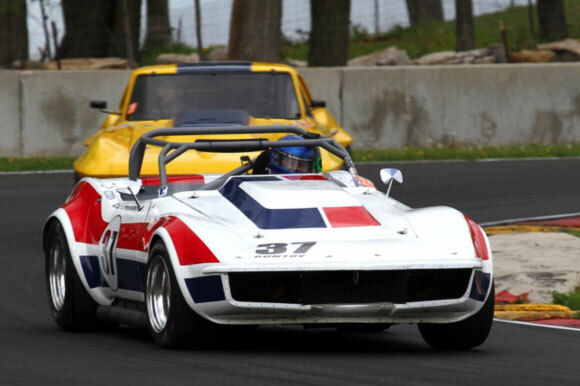 With a full weekend to dial it in, there was probably another two seconds in the Grand Sport. What a fantastic car and driver! A rare second place finish for Edward!